I have been very quiet lately because unfortunately, Raizel has been very sick. I am trying to visualize the positive and praying for her to receive a complete and speedy recovery. However, I am happy to say that today was the first day in a very long time that Raizel was actually feeling somewhat like her old self. To celebrate, I agreed to make “Chocolate Chip Dot Cookies.” This is something that Raizel has wanted me to make for the longest time. Since I am time challenged, I usually, prefer to make Chocolate Chip Cookie Squares. But, Raizel REALLY wanted to make “dot cookies,” so I agreed. In exchange, Raizel agreed to let me take lots of pictures and post this recipe because, “I know that blogging makes you happy.” A sure sign that she is feeling better! 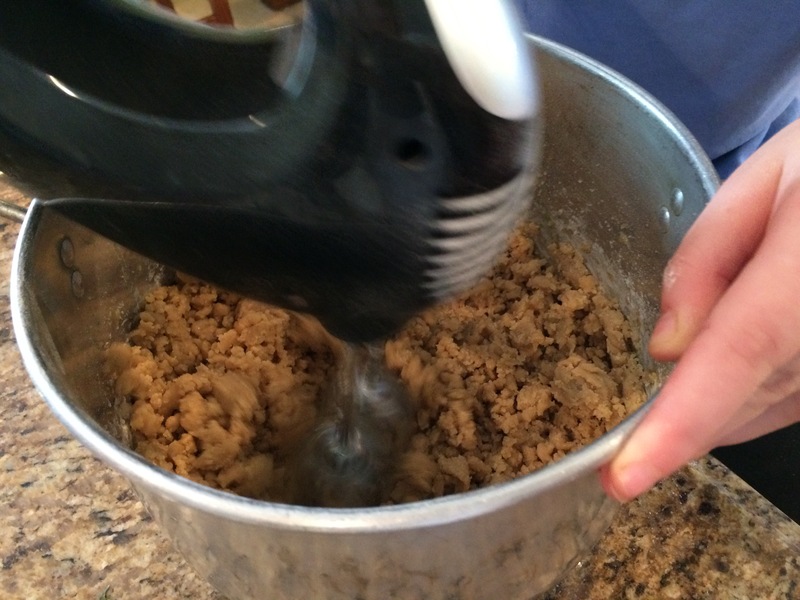 By hand or with a mixer: Mix sugars, oil, and vanilla a large bowl until light and fluffy. Add eggs, one at a time, until blended. . Stir in flour, baking soda and salt. Stir in nuts and chocolate chips. With only 2 eggs, the dough will be quite stiff. We made a second batch with 3 eggs, and the dough was much easier to manage. The stiffer dough made crispier cookies. 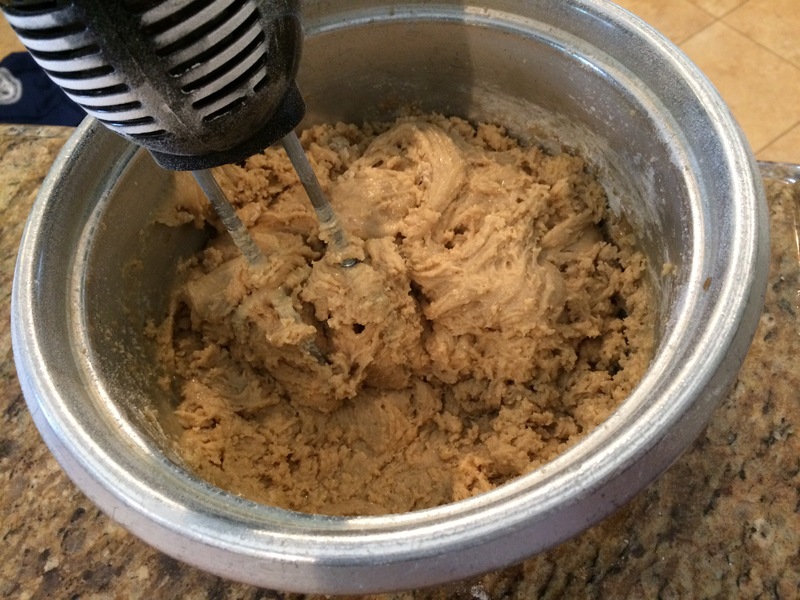 The softer dough made chewier cookies. 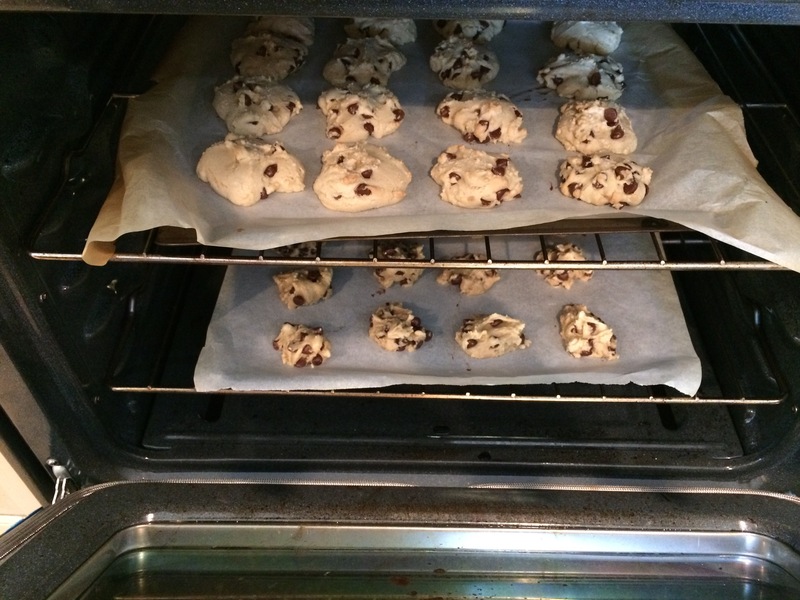 Drop cookie dough by rounded teaspoons about 2 inches apart onto parchment lined cookie sheet. Bake in a 375°F preheated oven for 8 to 10 minutes or until light brown. When slightly cool, remove from cookie sheet and place on wire rack. Cream together the sugars, oil, eggs and vanilla. Add the flour, salt and baking soda and gently pulse until just blended. 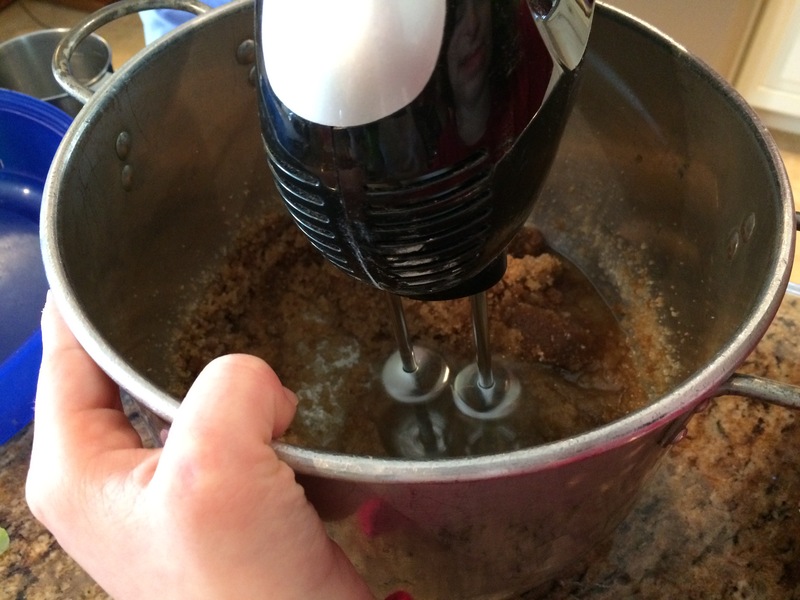 Mix in by hand the nuts and chocolate chips. Tips: Initially, I made this recipe using only 2 eggs. 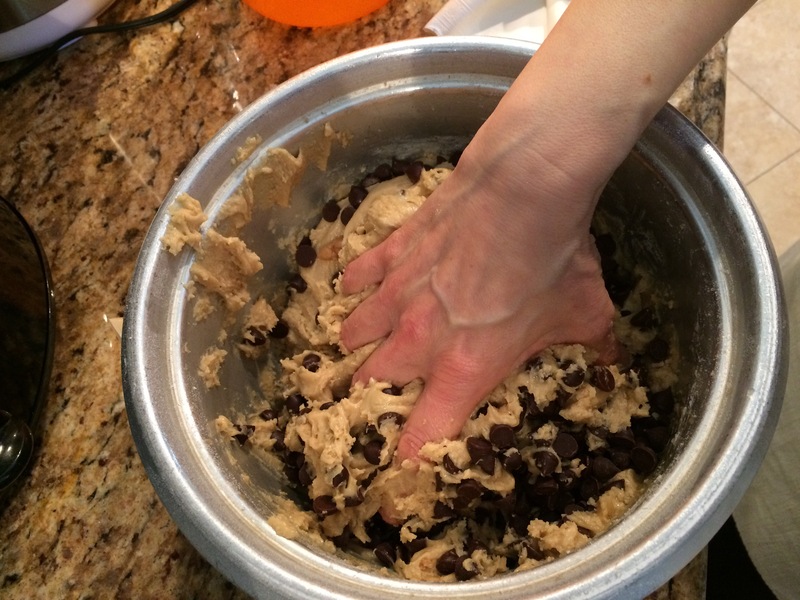 I found the dough very stiff, and it was difficult to incorporate all of the chocolate chips. Since I had so many chocolate chips left in the bowl, Raizel, Yaffa and I made a second batch with 3 eggs. The dough was much softer and easier to manage. I have discovered that chocolate chip cookies are a very forgiving recipe. My husband and Raizel both declared that “these cookies are killer!” My husband actually ate 3, which is very unusual for him and a true vote of confidence. However, Jay liked the batch with 2 eggs, which was crispier, and Raizel liked the one with 3 eggs that was chewier. So, either way, they were a hit. I even think that they could easily be baked at 350*F and still come good. Here are the pictures. Both girls wanted to have their pictures taken making the cookies. blending in the flour, with a more stiff dough. Trying to blend in all the chocolate chips. This is the dough with 3 eggs. Much soother! 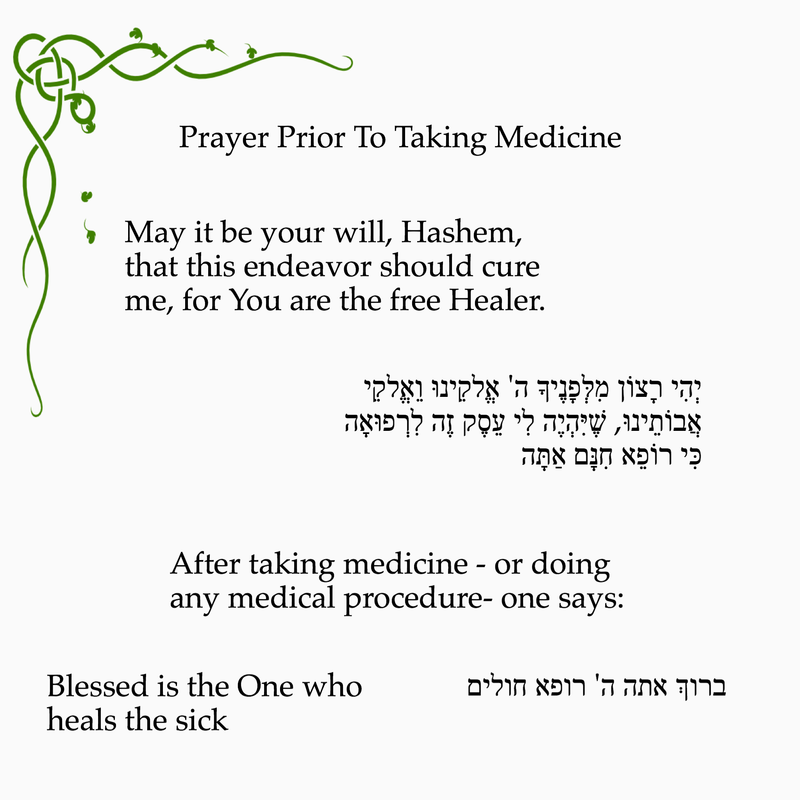 Slightly off topic, but, I wanted to share the pictures that I made of the prayer to say prior to taking medication. 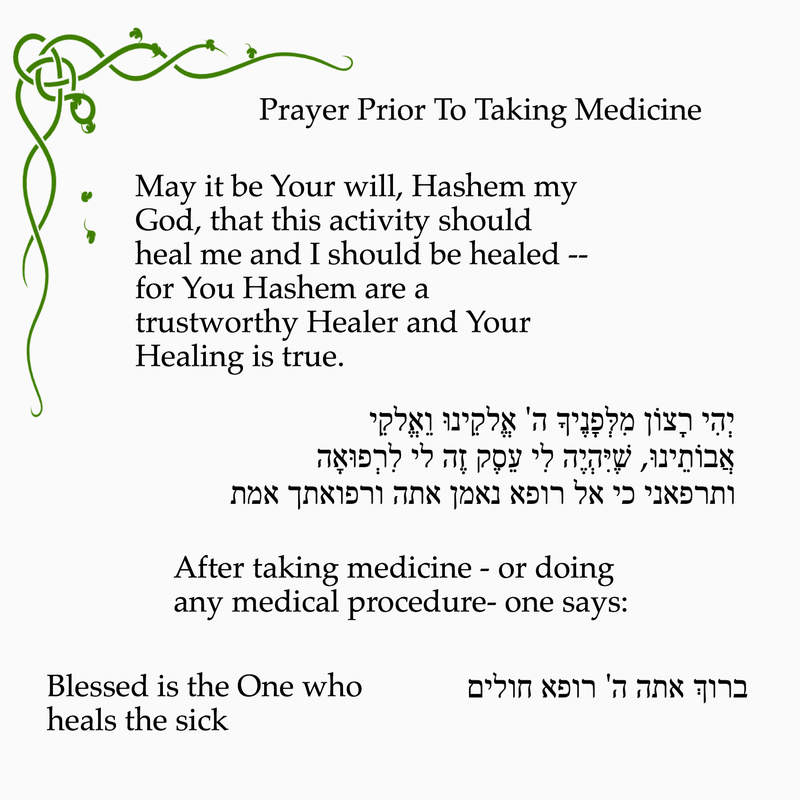 Unfortunately, we have been saying this prayer very often lately. 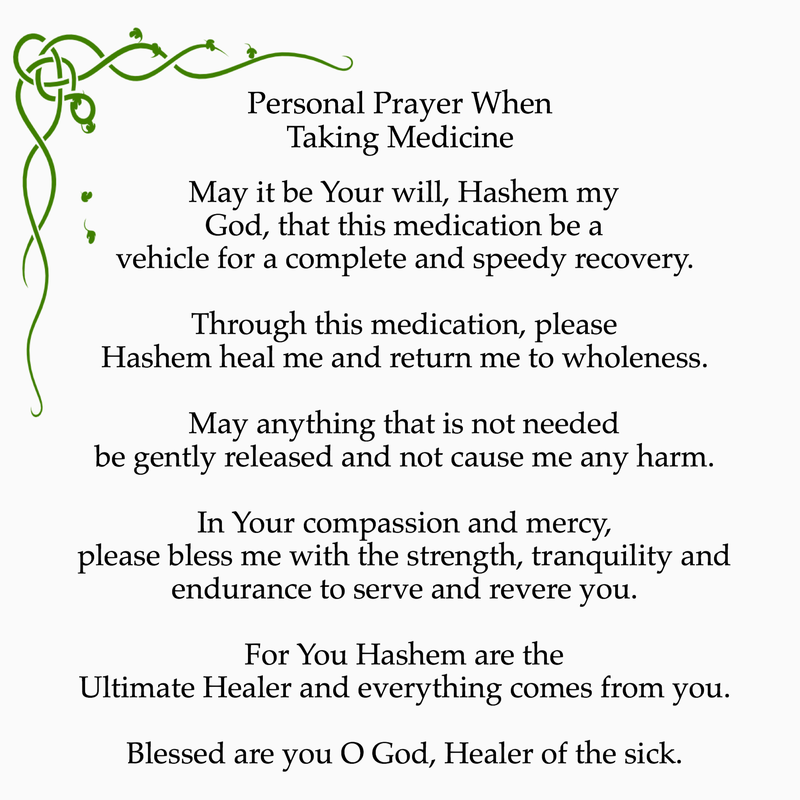 This picture is a personal prayer that I wrote to reinforce my desire for any medication to be effective and helpful. This is my personal prayer. Enjoy the cookies and may everyone in need be blessed with a speedy and complete recovery! I’m sure Raizel is better by now and I’m sorry I didn’t know she’d been sick! Kids should NEVER have to be sick! The cookies look wonderful! I’ll definitely do the 3 egg version. Oh, poor little Raizel! It’s really unfair she’s been feeling ill most of the summer! I’m praying she recovers immediately. This is just 27 kinds of wrong! Thanks for the cookie recipe, and for the information that adding an extra egg makes the cookies chewier! But more importantly, please know I’m so sorry that Raizel has been sick. And I will pray for a speedy and complete recovery! So so sorry to hear about Raizel! Wishing her a complete refuah shleimah, iyH!!! I really wish and pray that Raizel feels better very soon. You were being missed and I only thought you were busy, didn’t know about Raizel. You were in my thoughts and I will keep Raizel in my prayers. Choc dot cookies are looking great. Glad Raizel is feeling better today. Take care Carol. Glad she is better. Your cookies look delicious. Love your positive intentions. Think I’ll borrow your idea. I’ve had horrible headaches for a couple months. Maybe it’ll help with those. Glad it was a good day. In the midst of follow up care and procedures, good days are so important. Sending healing thoughts your guy’s way. PS that’s wonderful about your husband and the cookies. I was thinking of writing a post just on that. Feel better too! Ohhhhh, I hope you do write it. Thank you. It’s a much better few days. I am sorry to hear that Raizel has been sick and I am hoping she is truly on the way to a complete recovery! Best wishes and many Brochos! Thank you! I am ready to become a health care advocate. It has been such a struggle! I can’t even imagine! But as long as she is getting better B”H! 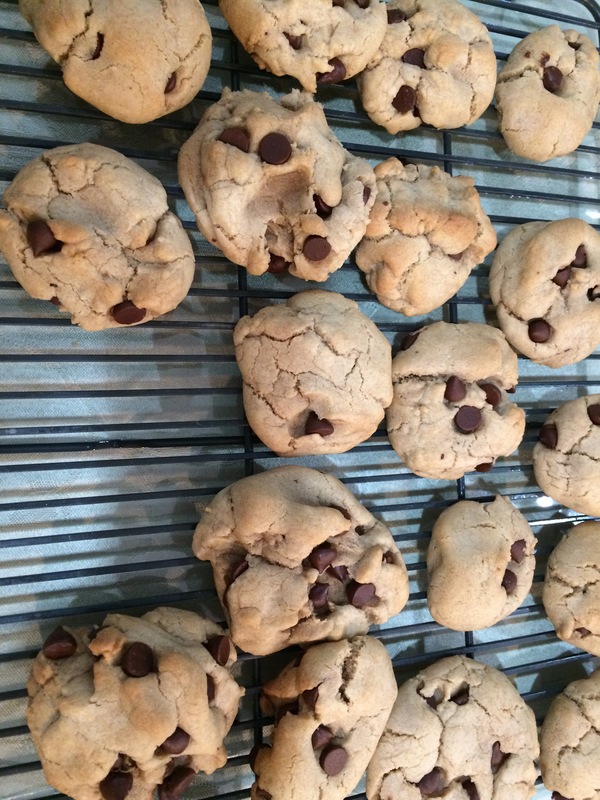 Personally, I think chocolate chip cookies have healing properties….